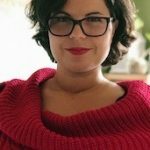 Josephine is a researcher covering a broad spectrum of the medical humanities and social sciences, including medical jurisprudence, practical ethics, psychology, medical sociology, medical anthropology, migration medicine, transcultural medicine and psychiatry, and medical education. She explores the social sciences, medicine, and the law, navigating the ambiguities that exist in these fields, with a specific focus on highlighting humanity and the socio-cultural (in all its complexity) in medical contexts and medical education. Specific areas of research include migration medicine (primarily undocumented migration), transcultural psychiatry, medical jurisprudence, human rights in medicine, medical ethics, clinical empathy, reproductive health rights, medical sociology, psychometrics, humanistic medicine, and transcultural encounters in healthcare and higher education. 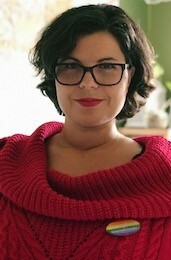 Josephine holds a diverse background, having studied psychology (University of Liverpool) prior to expanding to medical jurisprudence and medical ethics (University of Edinburgh), whilst also touching base in sociology, healthcare science, social anthropology, and social work along the way (University of Gothenburg). She is involved in humanitarian work, primarily in psychiatry and psychosocial work in Sweden, as well as being involved in a variety of global mental health efforts abroad. Josephine is also an accredited lecturer, teaching scientific theory, empirical research methods, research ethics and regulation, medical ethics, medical jurisprudence, transcultural psychiatry, clinical empathy, and medical sociology at Sahlgrenska Academy Medical School in Sweden. She is active in forwarding empirical findings in applied settings, engaging with the public both in medicine, healthcare and the humanitarian sector, with a specific focus on forwarding perspectives from the medical humanities amongst junior physicians. Please, view Josephine’s profile and her latest publications here.